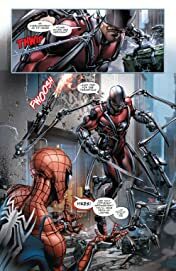 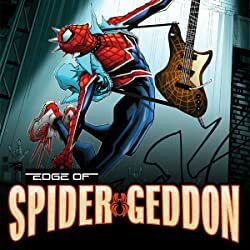 Collects Spider-Geddon #0-5 and Vault Of Spiders #1-2. 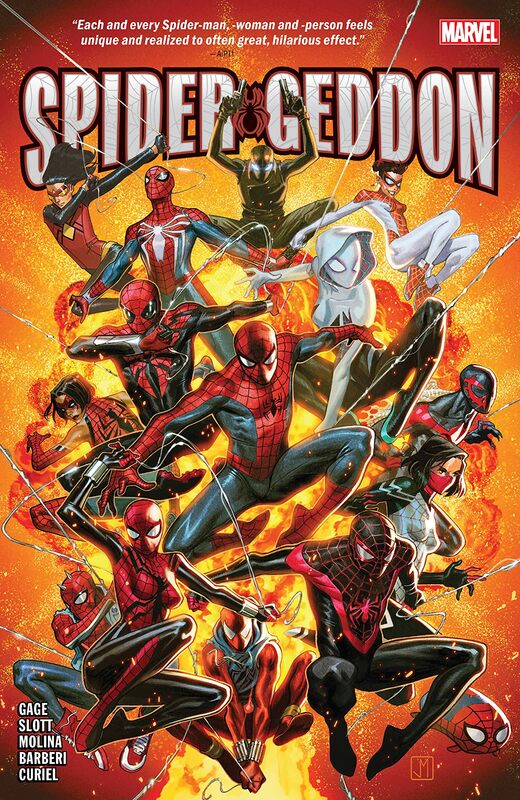 SPIDER-VERSE united every Spider-Person ever — now SPIDER-GEDDON will destroy them all! 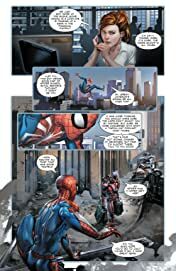 The Inheritors have escaped their radioactive prison planet and made their way to the Marvel Universe. 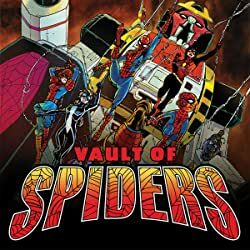 As the villains draw first blood, a whole Spider-Army must reunite to keep them at bay! 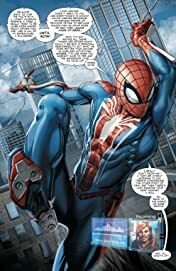 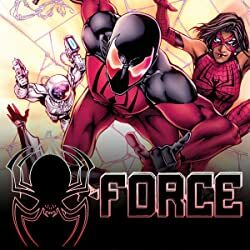 Starring Spider Man, Otto Octavius, Spider-Gwen, Miles Morales, Spider-Woman, Spider-Punk, the live-action Japanese TV Spider-Man, the Spider-Man from the new PS4 video game and many more Spiders — including some brand-new ones! 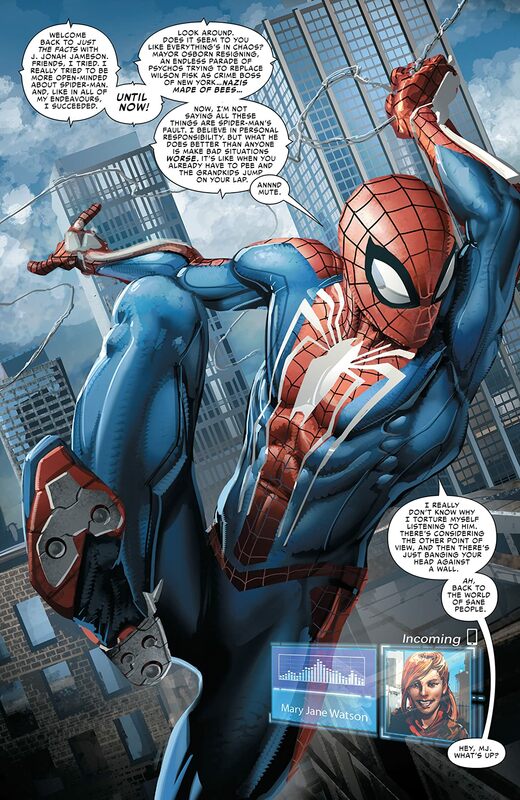 Prepare to meet Web-Slinger, Spidey of the Wild West! 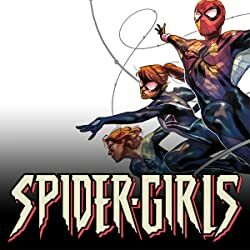 May Parker: Spider-Ma'am! And more! 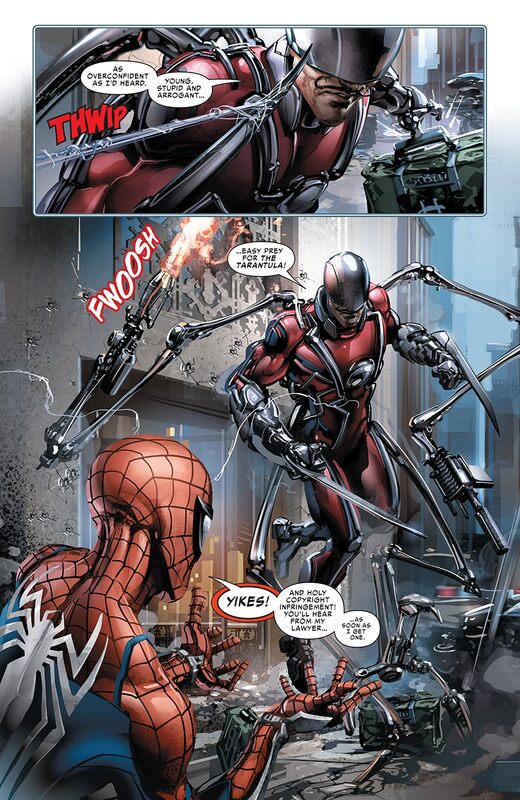 But as the threat they face builds, things do not look good for our web-heads and wall-crawlers. 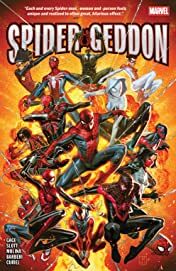 The end of the Spider-Verse is here!